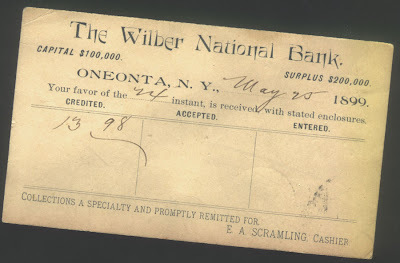 Postcard from Wilber National Bank, Oneonta NY. 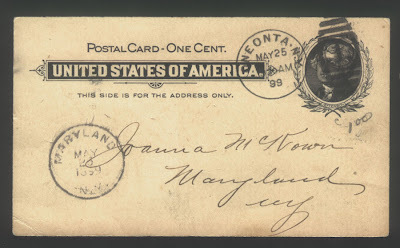 Dated and stamped May 25, 1899. Found in "The Life of the Blessed Virgin Mary" by The Abbe Orsini. Published by Collier, 1880.